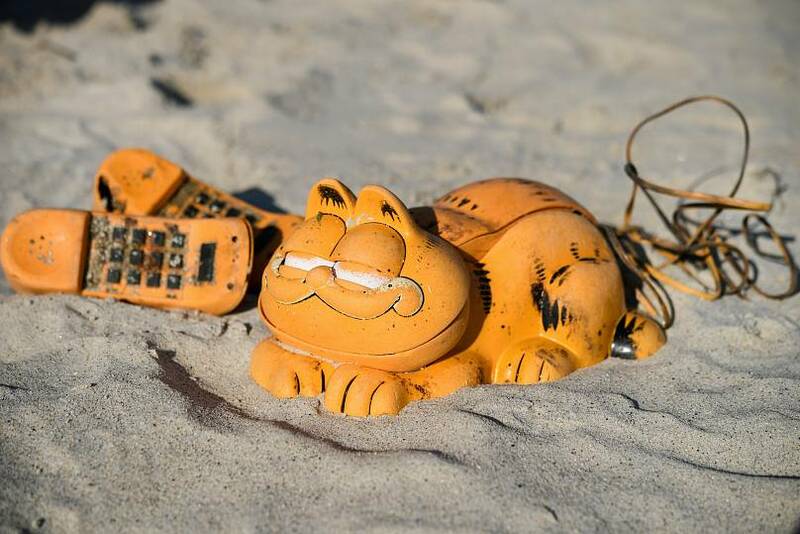 "Our association has existed for 18 years and in that time we have found pieces of Garfield telephones almost every time we clean," Claire Simonin, the head of local beach cleaning group Ar Viltansou in Brittany, told AFP. Beach cleaners on the northern Finistere beaches have now solved the mystery of the orange plastic flotsam. Having long-suspected a rogue shipping container might be the source of all the cats, a local resident confirmed their theories, saying he had discovered one after a storm in the 1980s. They found it wedged in a partially submerged cave that was only accessible at low tide. "He told us where it was... it was very, very dangerous," Simonin said. But there is part of the mystery that remains unsolved. Fabien Boileau, director of the Iroise Marine Nature Park in Finistere, explained that authorities had no idea which boat the container came from all those years ago. "And we don't know if several containers fell into the water, or only one," he added. 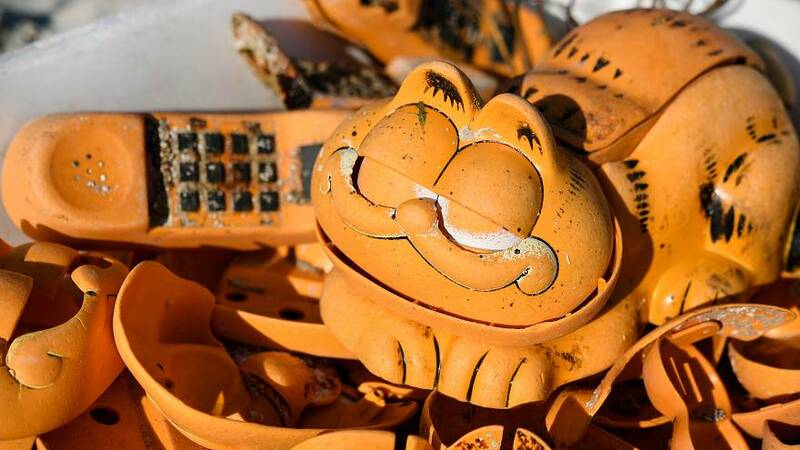 Garfield, a comic created by Jim Davis, has been published since 1978. It chronicles the life of the title character, the sarcastic cat Garfield, Jon Arbuckle, his owner, and Odie, the dog.